London: Longmans, Green, and Co, 1891. 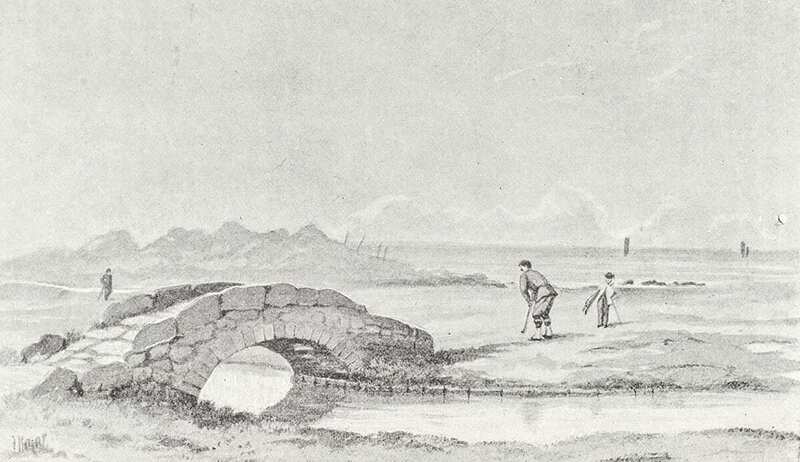 First edition of the first book of golf to employ narrative and illustrations in describing famous British golf venues. Octavo, original pictorial cloth, engraved frontispiece with tissue guard, illustrated with 18 plates after paintings and photographs by C. J. Emeny, H. P. Hopkins, and others. 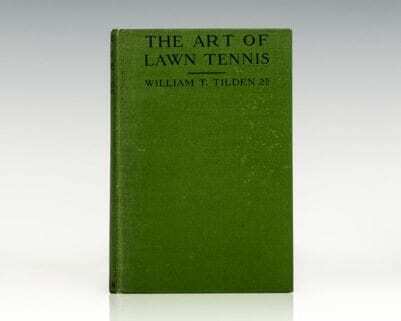 From the library of golf architect A.W. Tillinghast with his handwritten library index card laid in. A.W. Tillinghast was one of the most prolific architects in the history of golf; he worked on more than 265 different courses and was inducted into the World Golf Hall of Fame in 2015. In very good condition. 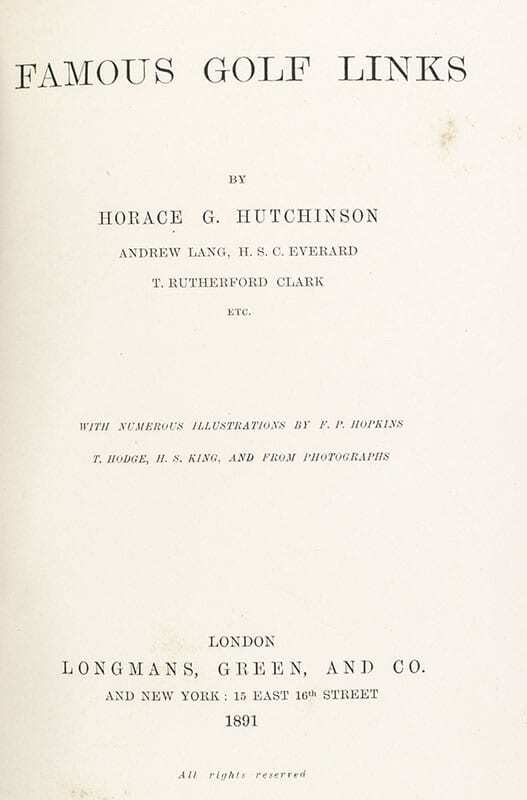 "The father of golf instruction," English amateur golfer Horace Hutchinson won the 1886 and 1887 Amateur Golf Championships, had top-10 finishes in the Open Championship, and became a prolific writer on the subject of golf and golf instruction. 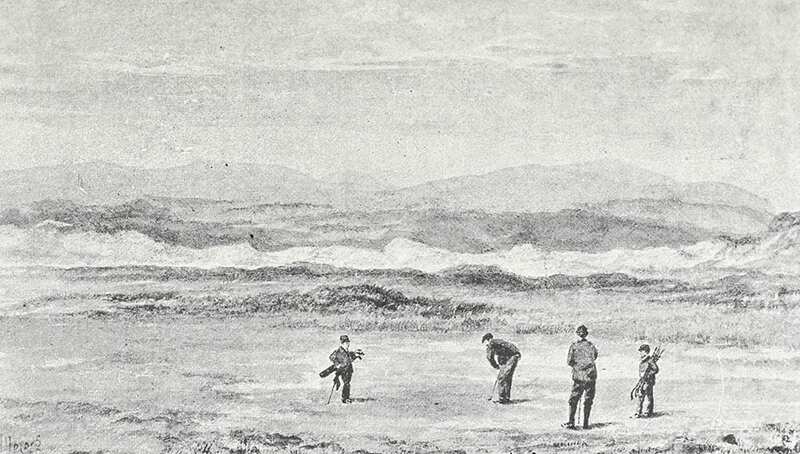 A pioneering work by Hutchinson, Famous Golf Link was the first book of golf to employ narrative and illustrations in describing famous British golf venues (Murdoch, 386). 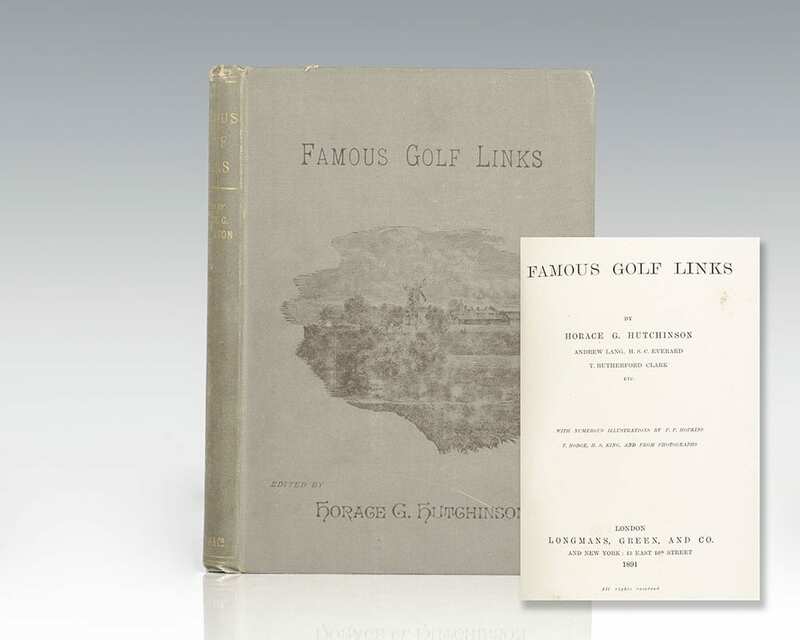 First edition one of the earliest books on golf instruction and the impetus for all other books of instruction on the game. Small octavo, original cloth, publishers advertisements before the half title page for Peile’s Lawn Tennis as a Game of Skill and four books on angling. From the library of O.M. Leland with his ownership signature and library markings on the verso of the front free endpaper. O.M. 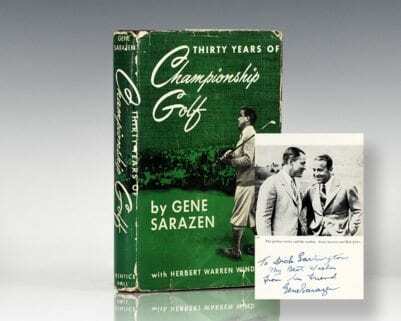 Leland of Minneapolis, Minnesota assembled one of the world’s finest golf libraries and collection of golf memorabilia which he donated to the USGA Golf Museum and Library, or “Golf House”, in New York in 1958. In near fine condition. An exceptional example of this scarce, important, and influential work.